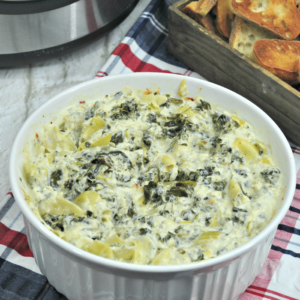 With holidays and parties abound in the upcoming months, make this quick and easy Instant Pot Spinach Artichoke Dip! 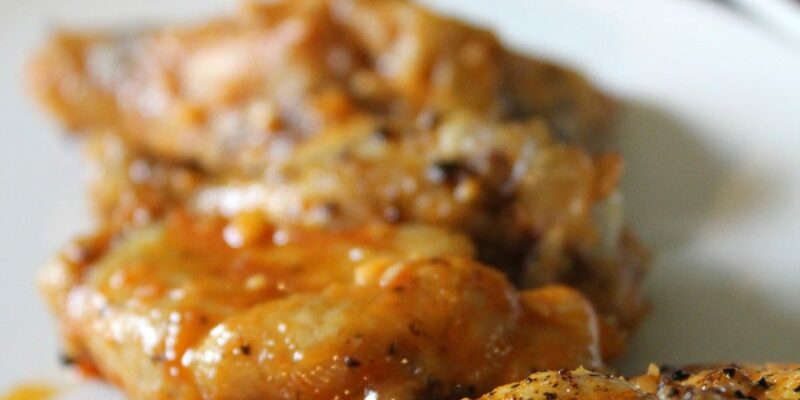 Your family and guests are sure to come to the table for more. 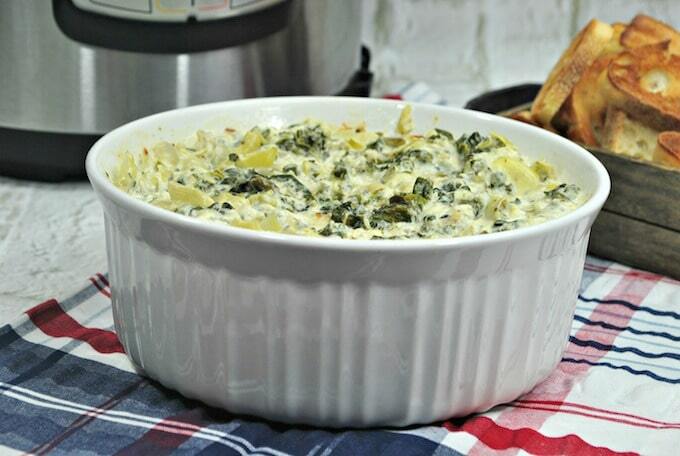 Have delicious Instant Pot Spinach Artichoke Dip in just 10 minutes! You read that right! This healthy dip is ready to serve after 10 minutes thanks to your handy and reliable Instant Pot. 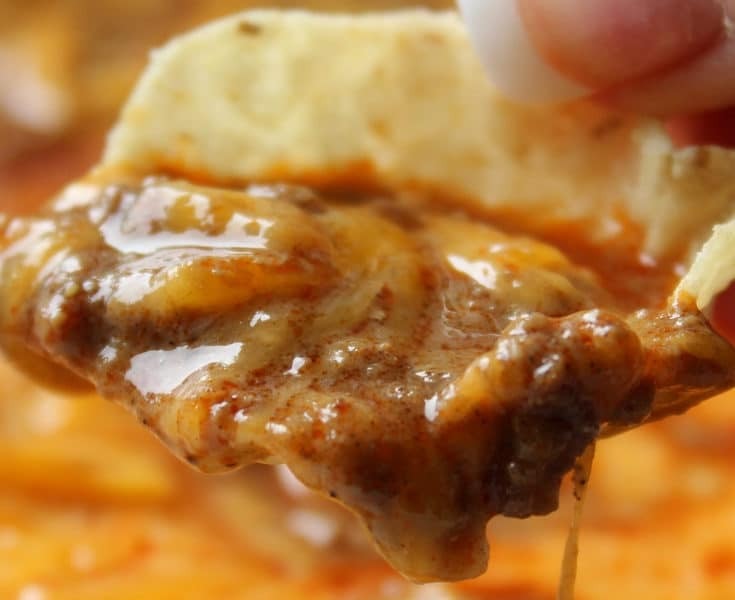 This is great news for those who love this dip hot! If you prefer your dip cold, let it settle and cool in the fridge for a few more minutes. 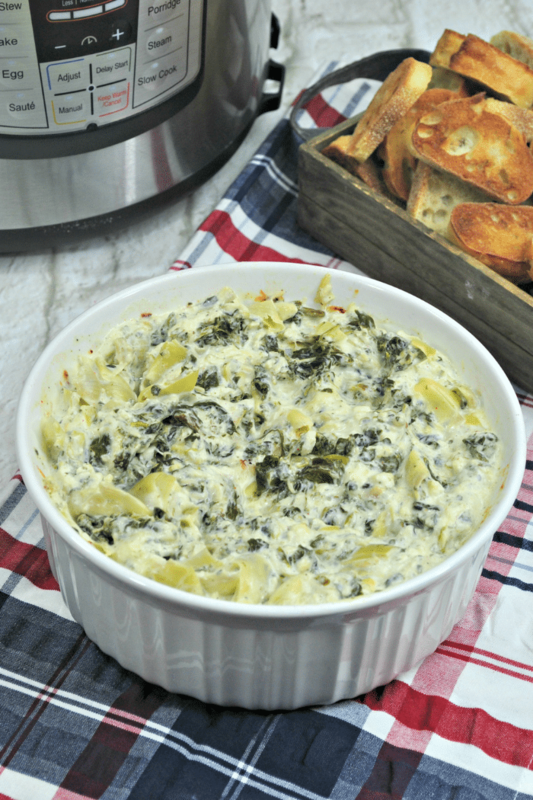 Instant Pot Spinach Artichoke Dip is a convenient and healthy way to eat for the holidays. This dip is simple and the ingredients are easily spotted in your local grocery stores. 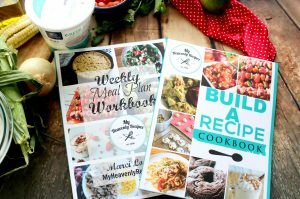 This is perfect for when the holidays come in and you need all the time you can get to prepare for your parties! Dark and leafy spinach is rich in vitamins and nutrients. Artichoke is rich in fiber and protein. The blend of parmesan, mozzarella and cream cheese blankets the vegetables perfectly and makes eating them easier for picky eaters! 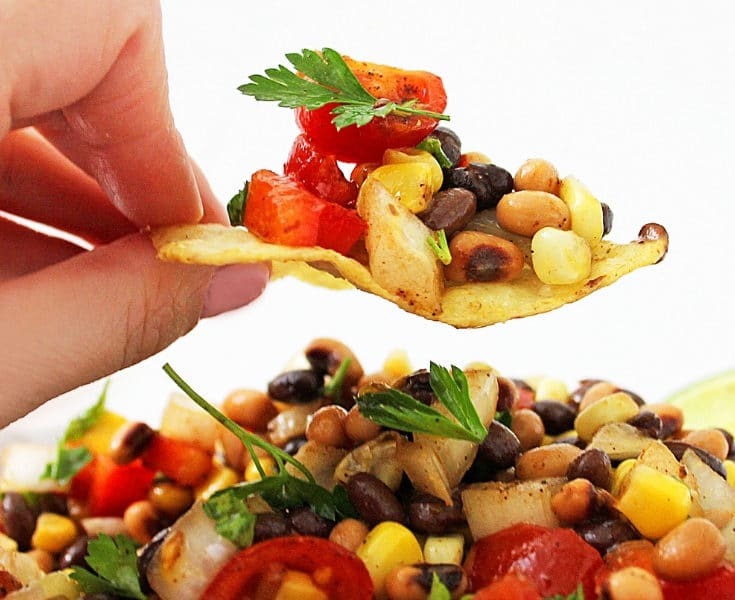 This dip is perfect for chips, tortillas, crackers, toasted bread, and sliced vegetables. Yum! You can serve the dip in flaky bread cups/pastries and wonton cups. 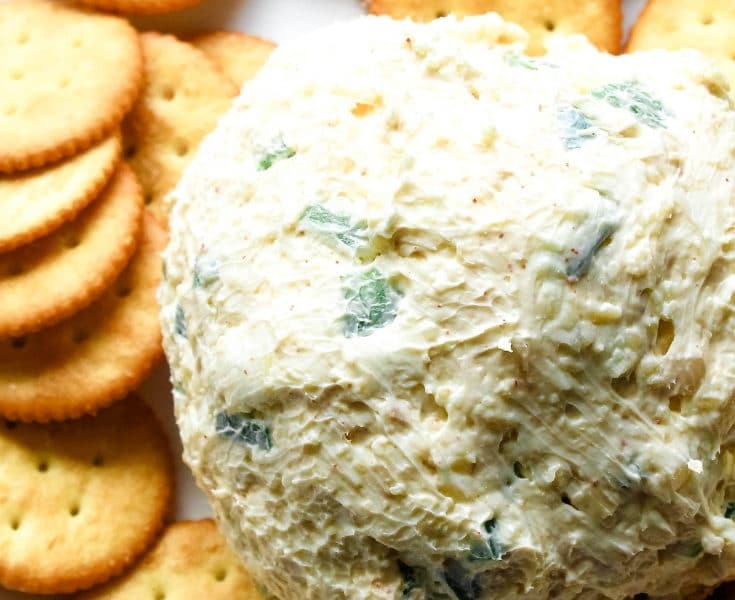 This is especially great for serving as appetizers at house parties. You can make a big batch and serve it in a bread bowl surrounded by bread pieces on a platter. The family will enjoy digging into this one! Throw in some bacon bits on top for more flavor! 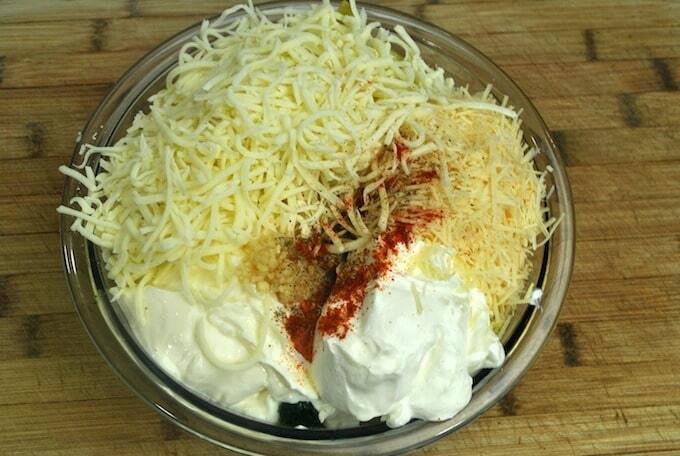 You can use the dip as a sauce for pizza and pasta as well! 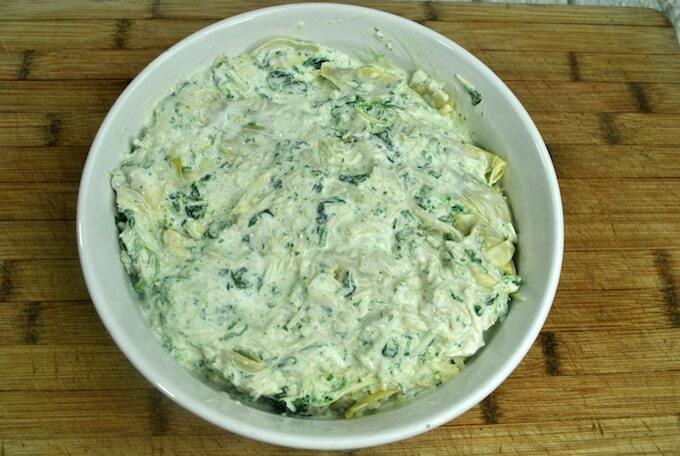 This dip Instant Pot Spinach Artichoke Dip is also delicious as filling for your grilled sandwiches. Roll them into little balls and fry them to create yummy, cheesy spinach artichoke bites! You can also use the dip as filling in making quiche. This makes for a healthy breakfast and lunch! Make sure you drain all the water from the vegetables to achieve the perfect consistency for the dip. Put spinach into a glass bowl and let sit so it can thaw a bit. 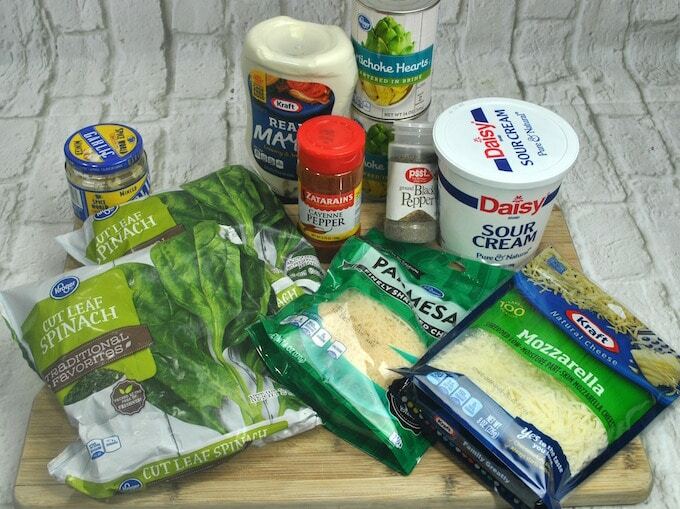 Add the rest of the ingredients to the spinach. Add the mixture to a round, oven-safe baking dish that will fit inside of your pressure cooking pot. 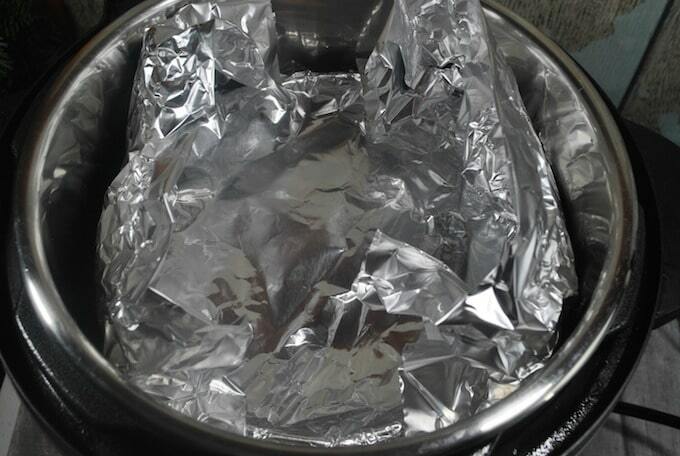 Cover dish with foil. Pour 1 cup water into the pressure cooker pot and place a trivet or pot lifter in the bottom of the pot. 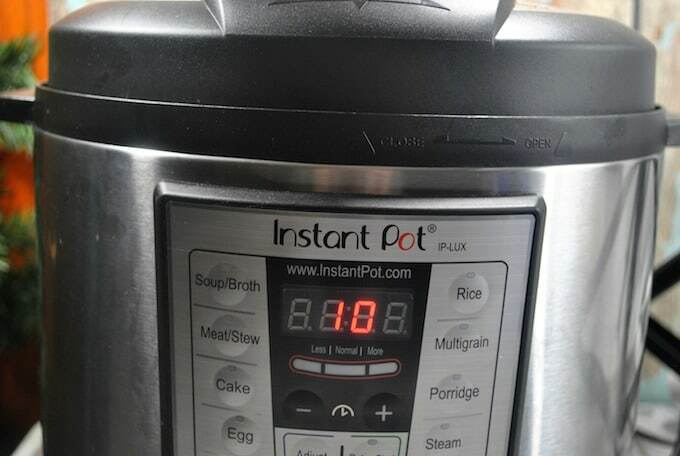 Place the baking dish in the instant pot then lock the lid in place. Select High Pressure and set the timer for 10 minutes. When the timer goes off, turn the steam release valve to “venting” to release the pressure. 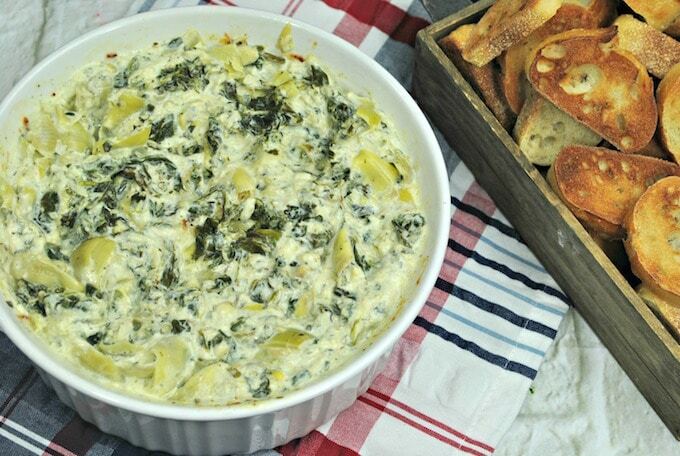 Serve the spinach dip hot with a sliced Baguette, or tortilla chips. 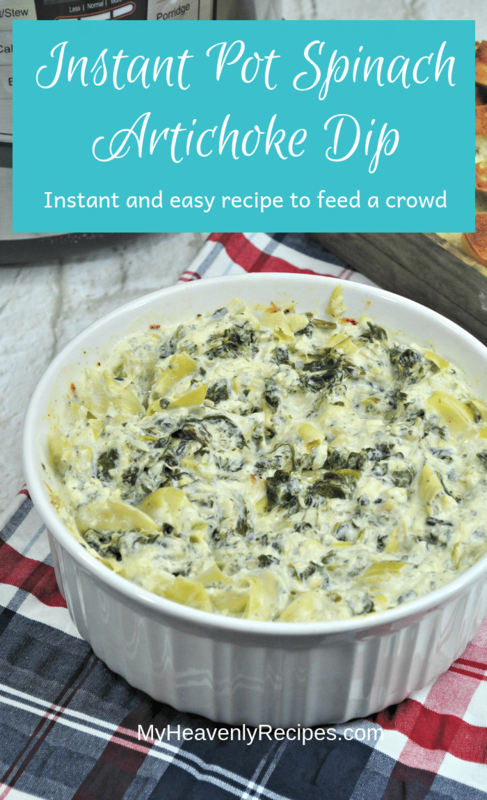 Have delicious Instant Pot Spinach Artichoke Dip in just 10 minutes! This is one of the yummiest (and easiest) Instant Pot dip recipes you'll find! Put spinach into a glass bowl and let sit so it can thaw a bit. Drain excess liquid. Add the rest of the ingredients to the spinach and stir to combine. Pour 1 cup water into the pressure cooker pot and place a trivet or pot lifter in the bottom of the pot. Place the baking dish in the Instant Pot. Lock the lid in place.